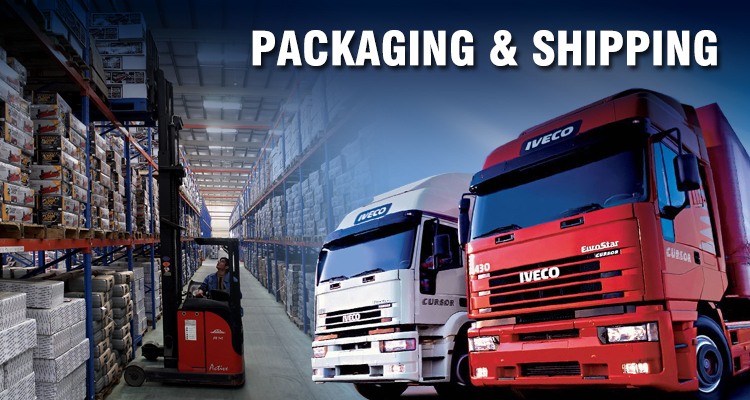 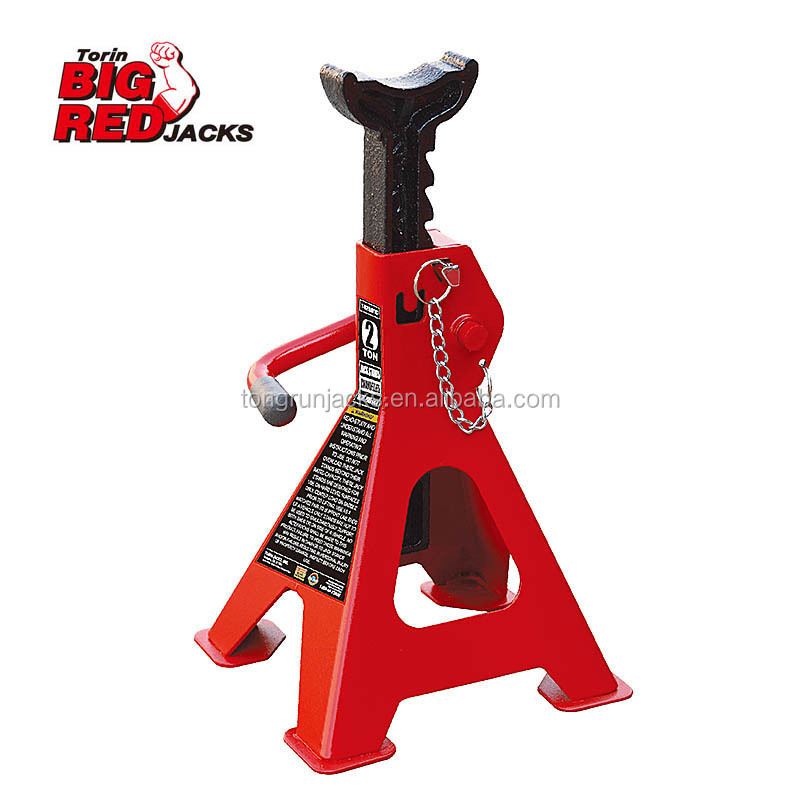 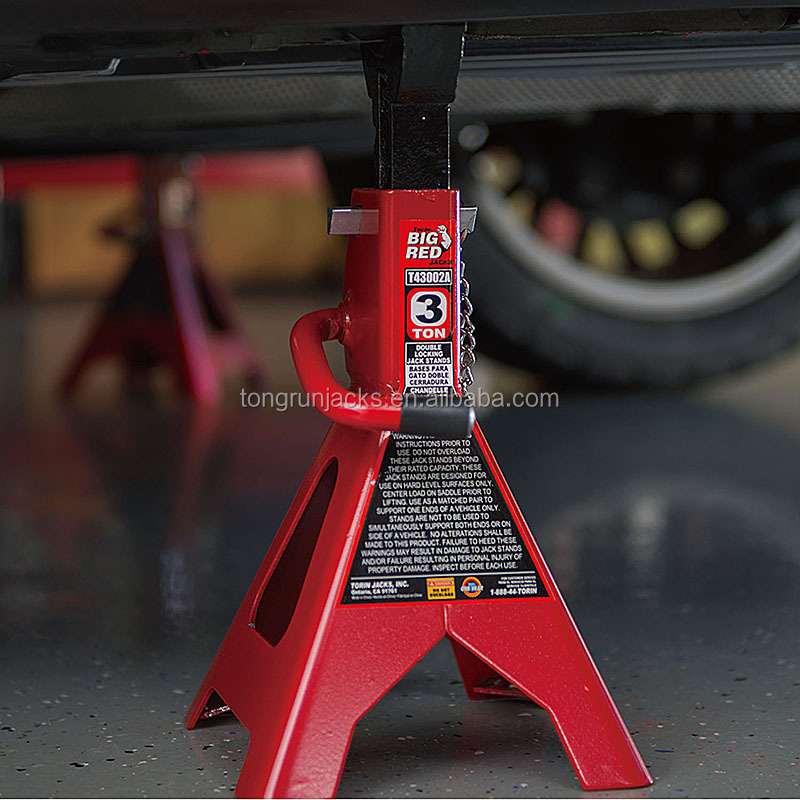 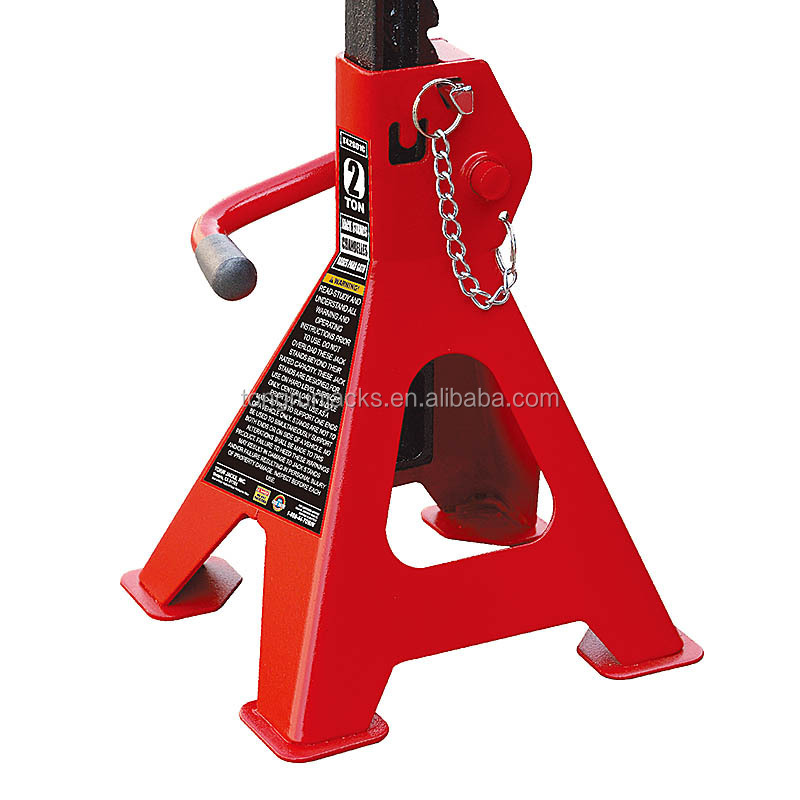 Jack Stands are designed to support rated capacity, partial vehicle loads consisting of one end of a vehicle. 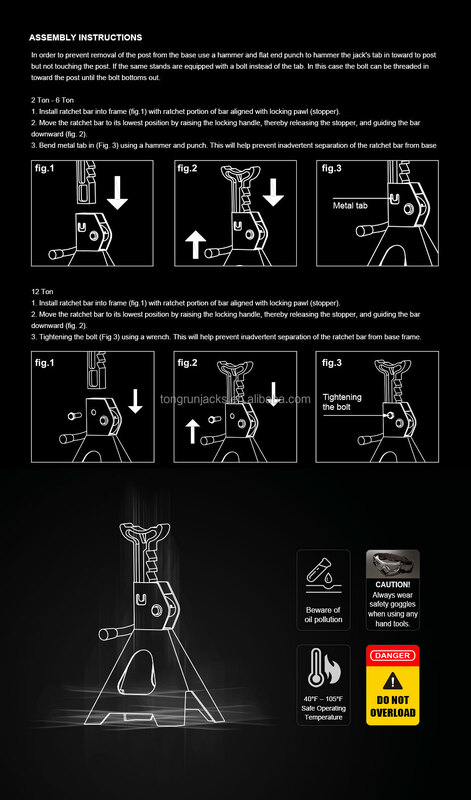 Use both stands for each operation. 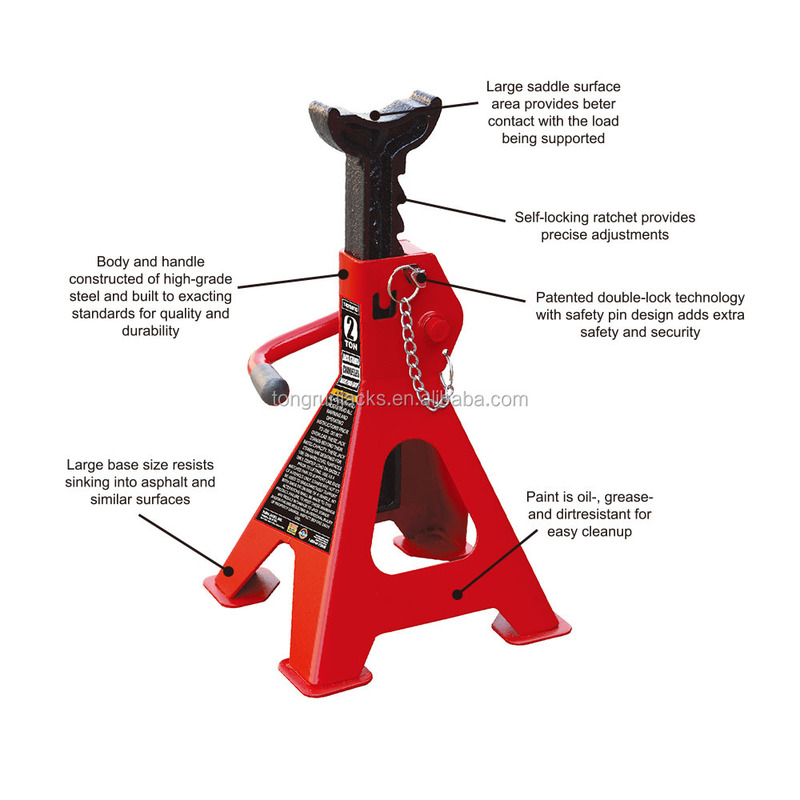 • Ratchet type axle stand with cast iron support post and tough welded steel plate base. 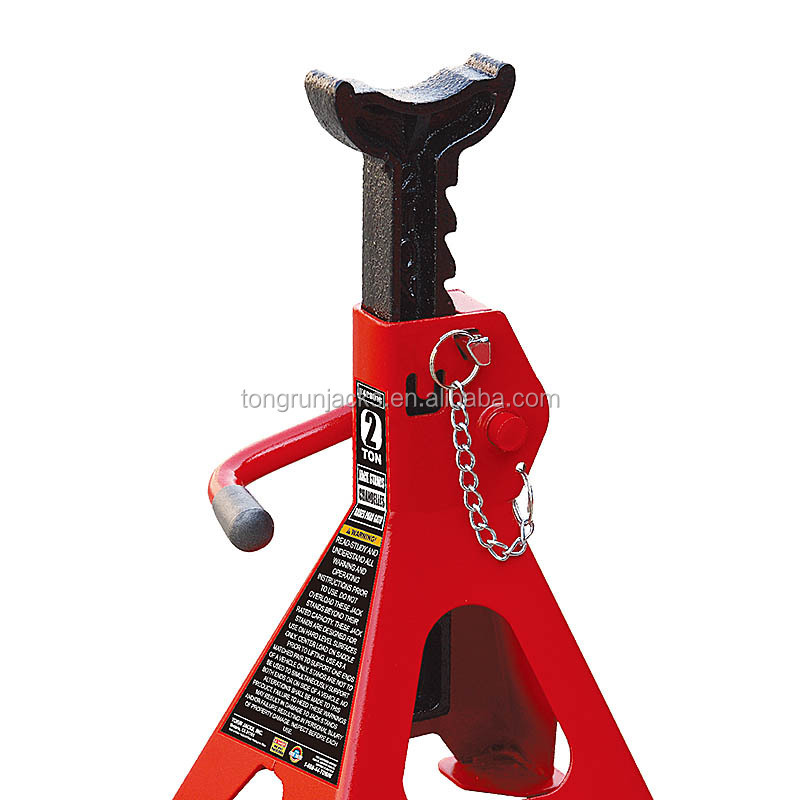 • Angled teeth in post prevent accidental release of load - the more weight applied, the tighter the post is locked.